A free taco is in your future and you can thank Cleveland Indians' shortstop Francisco Lindor and Taco Bell's 'Steal a Base, Steal a Taco' promotion. The promotion read: If a player steals a base during the World Series, everyone in America gets a free Doritos Locos Taco. In the bottom of the first of Game 1 Tuesday night in Cleveland, Lindor hit a single off Chicago Cubs' pitcher Jon Lester. It was Lindor's 11th hit of the postseason. With Indians' first baseman Mike Napoli up to the bat, Lindor was not waiting to make his move. After the second pitch, Lindor took off and stole second. 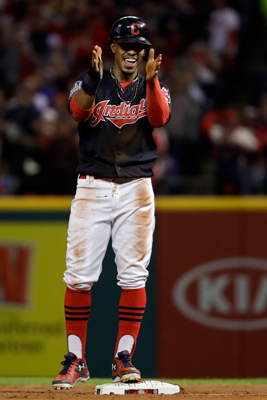 Cleveland Indians' Francisco Lindor celebrates after stealing second against the Chicago Cubs during the first inning of Game 1 of the Major League Baseball World Series. 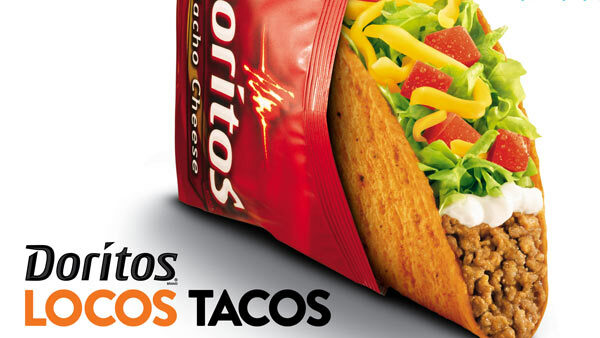 Which means - you can get a free Doritos Locos Taco at Taco Bell on November 2! You can get the taco between 2 p.m. and 6 p.m. only. And that also makes Lindor this year's Taco Hero.